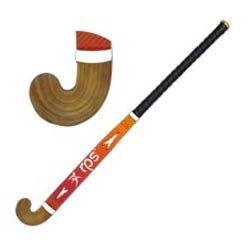 Our range of products include chander single fiber hockey stick, premier double fiber hockey stick, rps triple fiber hockey stick and supreme carbon fiber hockey stick. Being a highly effective, lean and fast-moving organization, we are highly instrumental in providing an extensive array of Chander Single Fiber Hockey Stick. These sticks are a piece of equipment used in field to move the ball or puck and have an end which varies in shape, often depending on the players’ position. Apart from this, these sticks are manufactured using fiberglass, carbon fiber, Kevlar and latest technology. Owing to a long-term destination for our business, we are engaged in offering a wide gamut of Premier Double Fiber Hockey Stick. These sticks are made available to the clients in different specifications according to the requirements of the clients. The entire range of sticks is widely appreciated by the clients for their various features. Clients can avail these sticks from us at market leading prices. 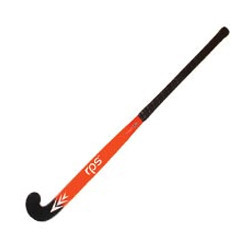 Our organization has successfully expanded its business in market owing to the offered elevated quality array of RPS Triple Fiber Hockey Stick. 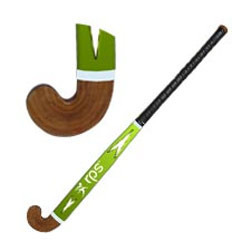 This hockey stick is widely appreciated in the market for its widely curved blade and highly durable shaft. 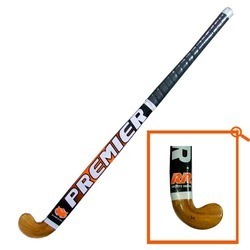 Moreover, these sticks have laminated bade and can withstand high impact from the ball. Further, these sticks have stylish design and long lasting shine. With firm commitment to quality, we are presenting for our clients a vast range of Supreme Carbon Fiber Hockey Stick. The offered range of sticks are manufactured using best grade raw material and its grip is made up of PVC material which provides this stick with a firm gripping ability. The shaft is designed for both left handed and right handed players. Moreover, clients can avail these sticks from us at market leading prices.